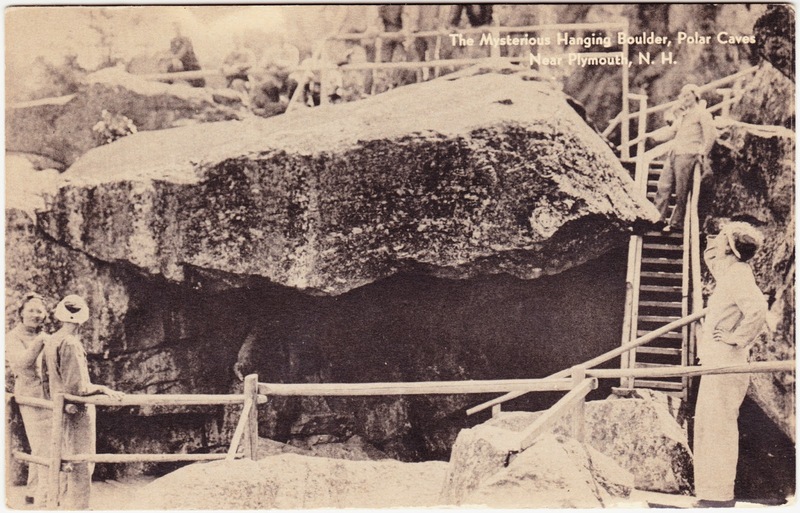 Continuing with the (Very) Modest Postcard Marathon, here's an unused black-and-white postcard for which the credit on the reverse side is "Atkinson — PHOTO REPROS — Laconia, N.H."1 The text on the front of the card states: "The Mysterious Hanging Boulder, Polar Caves, Near Plymouth, N.H."
"The Polar Caves were formed about 50,000 years ago as the third continental glacier descended over New Hampshire’s White Mountains. When the ice retreated, it left behind an amazing series of caves and passageways to explore! A self-guided tour through Polar Caves will take you to the rock garden, on the nature trails and through the nine caves in the park." 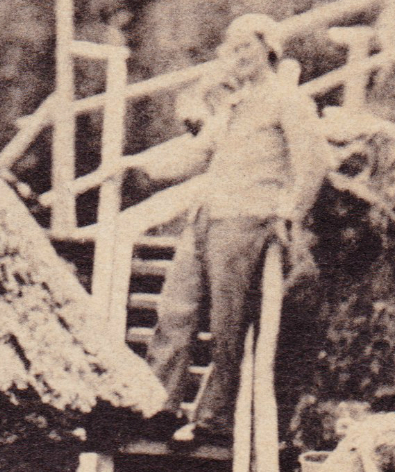 "[T]he 'Mysterious Hanging Boulder,' an 80-ton boulder which rests on three contact points in the back. If you stand under it, about 75% of the boulder’s weight is over your head. It’s not a place that many people linger!" Here are links to a couple current pictures of the boulder: #1 and #2. 1. Actor Claude Rains died in Laconia in 1967, at age 77.